PRESIDENT Emmerson Mnangagwa has reportedly cracked the whip on top ally and State residences principal director Douglas Tapfuma, who has been implicated in alleged corrupt deals, including the disappearance of $6,4 million at Hwange Colliery. Tapfuma, who replaced, Dzapasi Tizora, a top ally of former President Robert Mugabe in January this year, has now been relegated to a less influential post of principal director (PD), monitoring and evaluation in the Office of the President and Cabinet (OPC). Coxwell Chigwana is the new principal director of the State House, according to tweet by the Information ministry late Tuesday evening. "We have noted a number of media inquiries regarding the position of principal director at the State House Residence. PD Douglas Tapfuma has been reassigned as PD monitoring and evaluation in the OPC. Coxwell Chigwana takes over as PD at the State Residence," the ministry said. The tweet came after NewsDay tried in vain to secure a comment from the same ministry during the day, with secretary Ndavaningi Mangwana professing ignorance of the shake-up. "Reassignments and redeployments are a normal part of civil service life," Mangwana later told NewsDay yesterday. Well-placed sources said Tapfuma was facing several allegations, including abusing Mnangagwa's name and using letters from the President's Office to facilitate the importation of vehicles for friends and relatives duty-free. The same letters were also allegedly being used to evade paying Zimbabwe National Road Administration toll gate fees. According to the sources, the reassignment, instigated by Mnangagwa, has been done to pave way for investigations into Tapfuma's alleged misconduct. The Zanu PF leader was reportedly irked after his name was dragged into the Hwange Colliery saga where $6,4 million meant for exploration could not be accounted for. "He (Mnangagwa) had received many complaints about Tapfuma before, but the Hwange issue was the last straw," a well-placed source said. Last week, the Zanu PF Midlands central committee member was implicated in the Hwange Colliery scandal where the company's board members claimed he was working with one Shephard Tundiya to call shots at the Zimbabwe Stock Exchange-listed company. 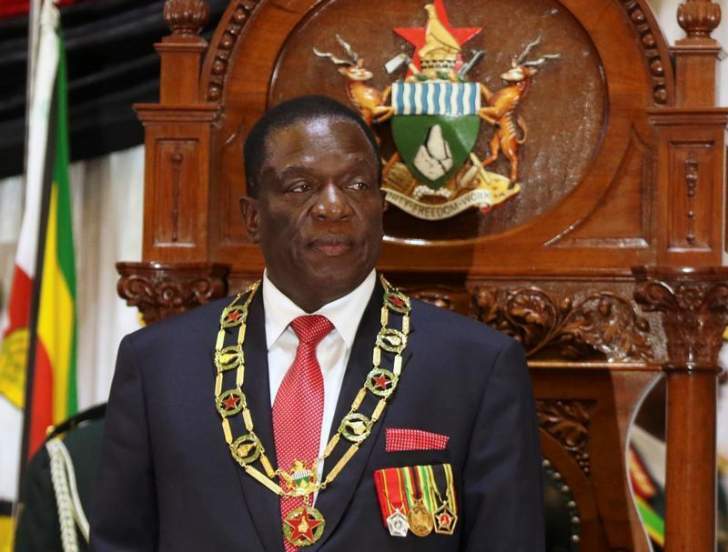 Mnangagwa and Mines minister Winston Chitando's names were also dragged into the scandal after Tundiya reportedly summoned the Hwange Colliery board members to State House where they were met by Tapfuma, who claimed he was representing the President. The board members and senior managers claimed they were abducted in mafia-style by Tundiya, who claimed he was well-connected to Mnangagwa. They also claimed they were summoned to State House to see Mnangagwa, but only met Tapfuma in the company of Tundiya, who ordered the reinstatement of fired managers. Tapfuma is also accused of abusing his office to prejudice the State. "He is accused of abusing State machinery and apparatus by giving friends and relatives letters from the President's Office for them to be exempted from paying duty," an official said. "Apart from that, he is also being investigated for nepotism after he facilitated the employment of his relatives in various government departments." Tapfuma, a former Zanu PF provincial administrator, was promoted to principal director in Mnangagwa's office when the latter was still Vice-President in 2014. He was roped in as principal director based at State House in January. Sources claimed Tapfuma used the letters from the President's Office to assist a fellow Zanu PF official from Midlands to import Toyota Quantum commuter omnibuses without paying duty. He is also alleged to have imported some farm and industrial equipment from South Africa without paying duty.